In the spirit of filling out you 1040 EZ form, the chains standalone locations will offer a half chicken with two sides, cornbread, and a drink for just $10.40. From April 11 to 17 $10.40 gets you the Big Bagel Bundle (13 bagels and two tubs of cream cheese). Just sign up for the coupon here. Free chips and queso. We repeat: Free chips and queso. Just say “Chipping in” when you place your order for any regular-priced item to get a small chips and queso as your side. Head in for lunch or dinner and you can order up a Cuervo Blue Margarita, made with silver tequila, blue Curacao, and pineapple juice for just $5. If you’re up all night filing taxes on Tuesday, don’t worry: You can still take the kids to Chuck E. Cheese Wednesday and Thursday for a free large cheese pizza with purchase of another large pizza, as the promotion runs April 17 to 19. 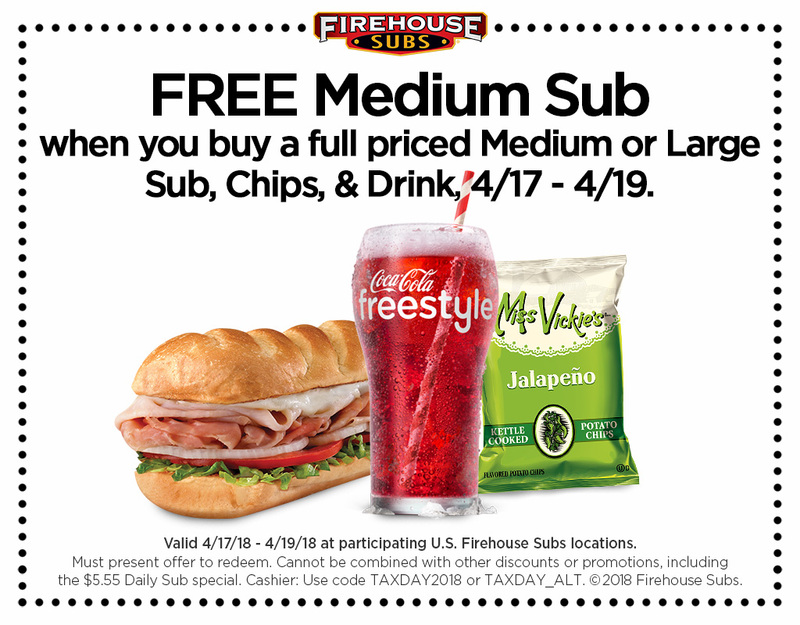 Also running from Tuesday to Thursday is Firehouse Subs’ free medium sandwich with the purchase of any medium or large sub (plus chips and drink) deal. All you need is this coupon. Participating stores will be handing out free cookies and cream cookies on Tax Day. The SoCal (and beyond) staple will give you a free turkey or veggie dog on Tax Day. Renaming April 17 “National Chill Out Day,” the shave ice trucks will be giving away free shaved ice all day. Find your nearest location here. Speaking of doing your taxes online, the chain’s “File Online, Order Online” deal is running from April 11 to 18. Use the code “TAXDAY18” to get $4 off your online order of $10 or more. 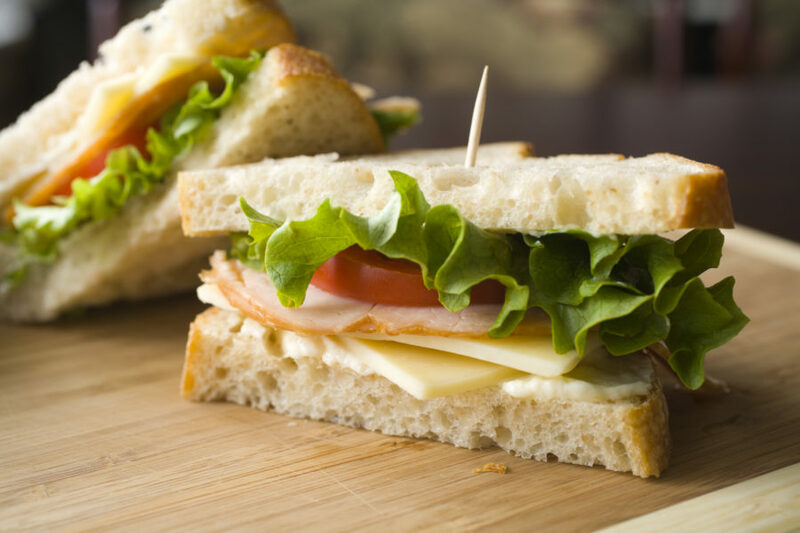 Snag a free small original sandwich with purchase of chips and a medium drink. Get half of a free burger—that is to say, 50 percent off cheeseburgers–all Tuesday long as the drive-in chain extends its Happy Hour deal the entire day. From April 14 to April 17 the ribs, steak, and seafood chain is giving away a Kickin’ Shrimp appetizer with purchase of any entrée.